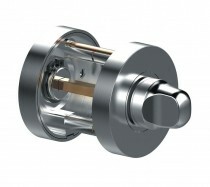 Jigtech is the new revolutionary door fitting system and saves time and ensures 100% fitting accuracy every time. 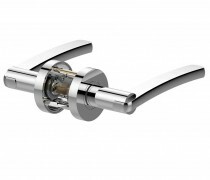 Timed fitting tests and shown that a Jigtech SMART Latch and handle can be fitted in under 3 minutes with the Jigtech pro jig, compared to 25 minutes when fitting a normal latch and handle with traditional methods. This is a time reduction saving of 80%. The innovative new Jigtech Pro jig system ensures 100% accurate results every time, and in a fraction of the time. The jig is clamped onto the door where you want to fit the handle and latch, and clearly marks the points where you need to drill. 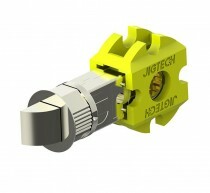 The Jigtech is adjustable for using both SMART Jigtech latches and standard Jigtech rectangular latches. Once the holes have been drilled it is simply a case of using the keep locator to mark and drill the door frame to accept the keep, taping the latch into place and attaching the spacer and spindle to the latch, and then fixing the handle to the door. You can view our ultimate Jigtech installation guide here for full, in-depth instructions and F.A.Q.